MWM NEWS BLOG: Featured in DIGIT Magazine. I'm featured in an article about Black & White Art in Digit Magazine this month. I'm honored to be featured next to some amazing international artists and designers. 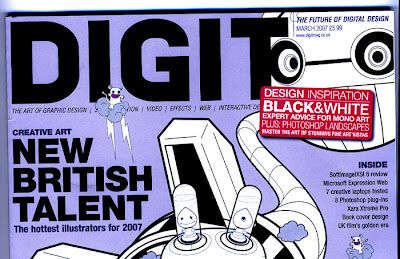 Digit is based in the UK, so it can be difficult to find here in the States. Order online here.